British microphone brand Sontronics has announced that it has joined forces with mixing console specialist Audient, in a bid to optimise UK distribution. 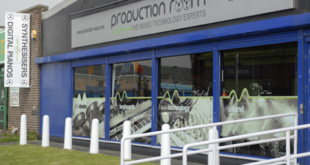 As of today (March 1st) the two companies will operate as Audient-Sontronics UK to provide joint support for end users, studios and stockists, with a dedicated UK sales manager (Gareth Williams), and centralised warehousing at Audient’s Hampshire headquarters. Service and support will continue to be handled at Sontronics HQ in Dorset, while all press and marketing will be managed in-house by Sontronics’ marketing director Lisa Coley. “This is an extremely exciting move for us,” said Sontronics managing director Trevor Coley. 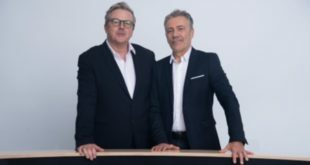 “We have experienced amazing growth worldwide over the last few years and this new partnership with Audient will help us further strengthen Sontronics in the UK. Audient-Sontronics UK will be sharing a booth at the forthcoming Frankfurt Musikmesse in Hall 5.1, stand A71, where visitors can see and try all of the latest mics, preamps and consoles from both companies.